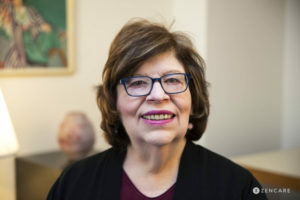 Jane Mattes, L.C.S.W., a single mother by choice and NYC psychotherapist, founded Single Mothers by Choice (SMC) in 1981 after having her son, Eric, in 1980. In addition to writing the book, Single Mothers by Choice, she has overseen the growth of SMC from the original chapter in NYC to chapters all around the US and in Canada, Europe and beyond. Over 30,000 single women have enjoyed the benefits of membership in SMC since its inception. Jane has met and consulted with thousands of women who were going through the processes of thinking, trying and mothering, and is a spokesperson for SMC in the media. Jane has a private practice in psychotherapy in NYC and is the Director of the Single Mothers by Choice organization. She is available for individual counseling consultations in her office or by phone. "The group was wonderfully useful and helpful resource and support forum while I was thinking and trying. It definitely helped me clarify my thinking. "